In this post we’re going to share with you three simple ways to increase average sale value. And I’m going to cover the middle of those three because a lot of people misunderstand how to get more value out of their customers and how to increase average sale value. It’s not just as simple as trying to sell more stuff. There are other strategies that you can use. When was the last time you put your prices up? Now, I don’t just mean a price occasionally as you see fit or with the price of inflation or put your prices up to reflect the cost of goods that are coming into your business, but actually just have some thoughts about putting your prices up. You see, in my experience, there is great price flexibility in the market depending on your client type and depending on the type of business that you run. I also depends on the value that you offer and on the type of customer that you have. Well, I promise you that if price was an issue, the companies like Rolex and BMW would have been long gone. Price isn’t really the issue. It’s often about the value that you create in the mind of your customers. Now, I do know that there are times when putting your price up can be detrimental, and many retail establishments would see that as a potential threat to their business. 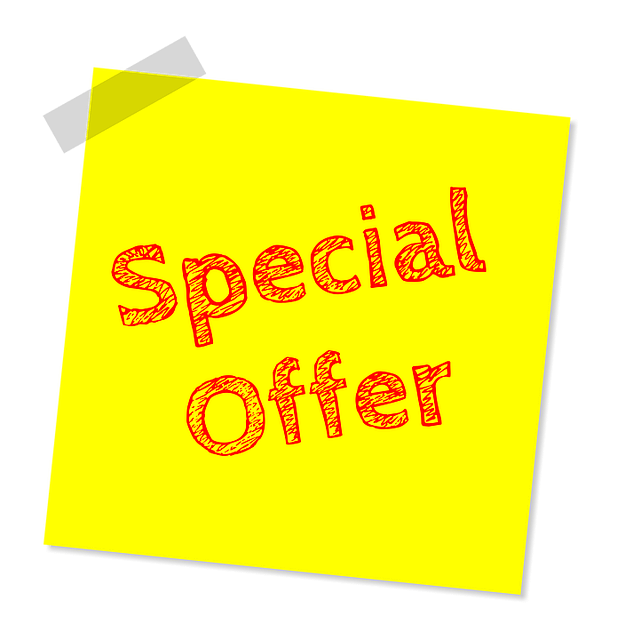 But when you run a service business like us, you do have much wider flexibility to mess around with your pricing structure in your strategy. And I’d be very surprised if you couldn’t work out a way of doing this. Also, it’s a question of how you work out your prices in the first place, and that is often dictated by the market, but also the market’s perception of your business. There are people in the legal profession who will charge £150 an hour, and there are other people in the legal profession who will charge £500-plus an hour. What’s the difference between the two? Usually, it’s a case of perception, value, and quality of service. Oftentimes, the market is just the same, but that perception is vastly different. So how can you go from one service company providing something that’s worth three times more than an alternative? It just literally boils down to perception. Yes, of course, you’ve got experience. You’ve got the reputation and the name of the company as well and all the letters that go after your name that go with it. But, ultimately, it’s all about perception. And if you’re offering great value for money or an experience or quality that people can’t find anywhere else, or will struggle to find anywhere else, then you can put your prices up accordingly. So don’t be one of those companies that hasn’t put their prices up in years despite the cost of business going up as a cost to the entrepreneur. Look at your prices regularly. Like I said, I’d be very surprised if you can’t find areas where you can add a few percent, maybe even more, to the price to your customers as long as the value is commensurate with the price. Upselling – Would you like fries with that? The next easy way to increase average order value is to try and upsell. When they started asking that question at the checkout, they added about a third to their turnover overnight. And, to be honest, at the checkout is a great time to ask because it’s when your clients are at their most willing to give you money. So I would urge you to think. Can you supersize it? Do you have a premium product that you could add? 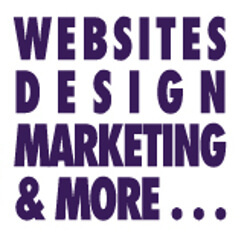 Even for us in our website design business, we offer a variety of packages. There’s three levels where – there’s just the basic package where we’ll build you a website. There’s another package where we’ll build you a website and help you with some marketing and do some promotion for you. And, then, there’s the top-end product – package, as it were, where we do a whole lot more in terms of helping people with marketing, promotion, SEO, ongoing support, and all sorts of other stuff. Interestingly enough, most people buy the middle one. Of course, we’re not going to complain because it is great value for money. But the point is: if an upgrade (upsell) offer wasn’t there, no one would buy it. So have a look, is there a way you can do an upsell? Can you do a supersize? Can you do a premium product, a silver, gold, and platinum level of service or product offering? Can you do that? The chances are good you can. Another one is warranties, for example. It’s an upsell. “Would you like to buy a warranty with that?” You’ll see that oftentimes when you buy electrical goods. “Would you like to buy a service and repairs warranty?” And all it is is an insurance policy, but it’s an upsell to get you spending that little bit more money when you’re at your most willing to give the company your cash. Cross-selling – what else will your customers buy? And, finally, there is cross-selling. You could write books on each of these items, but cross-selling is actually really simple. Amazon do it particularly well, and they’ve got “the customers who bought this also bought that.” And the reason they do it is because it works. It’s often a related product, but it’s not specific to the product. It’s not like selling batteries to go in a remote-control car. That’s an upsell. A cross-sell would be, “Why why don’t you buy this obstacle course for your remote-control car?” That’s a cross-sell. It’s related to the product, but it’s not integral to the product. Now, the chances are good you could do a lot of cross-selling. Financial services is a classic for this whereby if somebody buys a pension from you, then can you sell them life policies? Can you look at their mortgages? Can you look at their other financial arrangements for their family? Because it’s one customer, and you can sell a variety of different things. Cross-selling is just low-hanging fruit. You should always try and look to sell more items of a variety of things to the same customers simply because if they bought from you once, you’ve won their trust and that way they trust you more. And, if you’re making them favourable offers to buy different stuff, because they’re already a customer, it’s many times easier to sell to them. And you’ll find this with all of the major online retailers who are trying to offer you some bits and pieces to add on and then keep on marketing to you a variety of different products based on their product line. Fishermen won’t just buy fishing rods, fishing line, reels, and bait. They’ll buy fishing bags. They’ll buy stools. They’ll buy shelters. They’ll buy fishing clothing, loads of nets, and all sorts of other stuff. And the best thing to do is if they’re buying one thing from you, is to try to sell them all these other things over time. I know that there isn’t a single business out there, unless you just sell one product (and I have one client who does just that) that couldn’t work out some kind of cross-sell. In our business, we don’t just build websites. We help people with their marketing. We offer marketing coaching. We do SEO services. We do blog writing services. We do design services. When somebody buys a website from us, they get to hear about all these other things that we can do. Some buy, some don’t. So what? But if they didn’t get to hear about it, none of them would buy, and it really is that simple. So have a look for ways of cross-selling. Can you sell more stuff to the same clients even if it’s a variety, even if it’s a variation or not even related to what they bought in the first place? Amazon are really good at this. Amazon want us to buy everything from Amazon, so they promote as much as they possibly can to us as customers. And, so, they are a good example of a company that does very, very well at upselling and cross-selling. So to bring all these things together, to increase average sale value, look for ways to increase your prices. I’d be very surprised if you can’t add a few percent to your prices. We look at our pricing structure every few months, typically, twice a year. And almost always, we’re adjusting and we’re tweaking, etc. You should be doing the same. Look for ways to upsell. “Would you like to go large with that?” Offer a premium product, a platinum product or a special offering just at the time of buying, to upgrade to the next level. And then, finally, cross-sell. Can your customers buy more of the things that you sell just if you asked it to them? I’ll give you a good example of this. I used to work for an accountancy firm and they had over 60 different services they could sell to customers. But the scandalous thing was is that most of their customers didn’t know about most of them. Don’t be them! Go out, tell all of your customers about all the things that you can do. Some will buy, some won’t, but if you don’t tell them, none of them will buy. It really is as simple as that. It's quite straightforward to increase average sale value. Here we share 3 simple techniques that are used by some of the world's most successful businesses.